Collaboration between the public and private sector can pave the way for developing a modernized, distributed ledger technology-based (DLT) payment system in Canada, according to recent results of Phase II of Project Jasper, an experimental wholesale interbank payment system that uses a digital fiat currency called Cad-Coin. 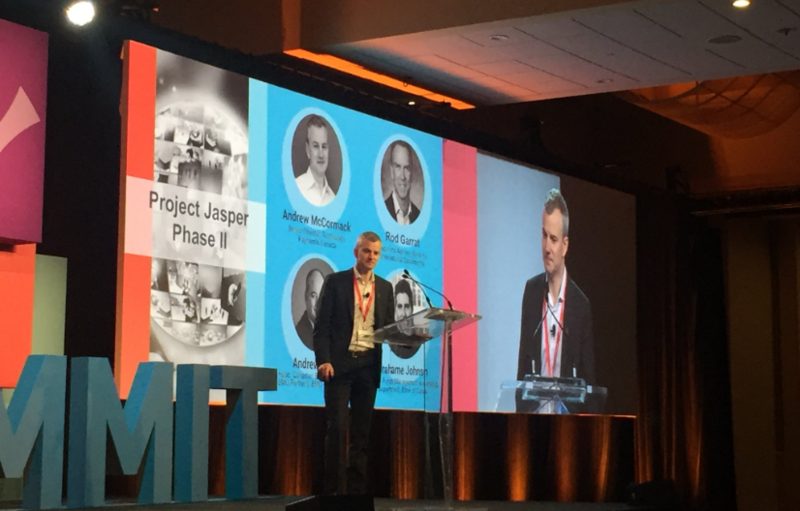 Phase I of Project Jasper used an Ethereum platform for building a DLT prototype and proof-of-concept system to investigate the use of digital receipts issued by the central bank, instead of cash to support the settlement of payments. Phase II built a DLT prototype using R3’s open source distributed ledger platform, Corda, to further explore the technology. Specifically, Phase II looked at how DLT could change the way centralized systems are structured and operated, whether a DLT system could meet international standards, and any potential implications for payment system policy. One of Project Jasper’s key findings was that the versions of DLT currently available may not provide an overall benefit to financial market infrastructures, when compared with centralized systems for interbank payments. Project Jasper Phase II’s results also indicated that to establish a strong payments system with DLT, financial players in the public and private sector will have to overcome several hurdles and gaps related to scalability and the need for privacy — something that can be done with greater collaboration between the sectors. While the project findings indicate some clear challenges, they also suggest that a DLT-based payments system could result in more cost savings and efficiency gains. Andrew Irvine, head of business banking at BMO Financial Group and a panelist at The Payments Canada Summit, noted that “it’s a privilege” that Canadians are conducted leading-edge research on DLT through Project Jasper. Overall, the work on Project Jasper suggests there is an opportunity to conduct future research on distributed ledger technologies, such as exploring the integration between Project Jasper and other types of DLT-based financial market infrastructures, including in international markets. Full findings of Project Jasper can be found here.